Jakarta Education Dept. said that the eight priority programs compiled by its staff this year goes according to plan.
" Everything goes according to plan"
"Everything goes according to plan," expressed Bowo Irianto, Acting Head of Jakarta Education Dept., Monday (8/20). 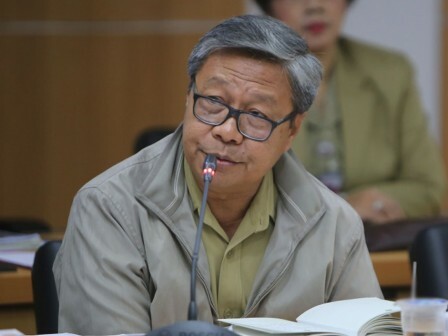 Irianto mentioned that those programs are early childhood education (PAUD) development program, 12-year compulsory education, and education quality improvement. There are also improvement of facilities and infrastructures, special education and services, improvement of office management and management of operational vehicles. In 2018 APBD, improvement programs for facilities and educational facilities are dominating the direct budget in its ranks. Capital expenditure for the program is prepared at Rp 2.52 trillion or 50 percent that is more than the direct expenditure allocation by Rp 4.27 trillion. "One of them is program of the heavy renovation and total school buildings. Meanwhile, the process is still ongoing," he stated.